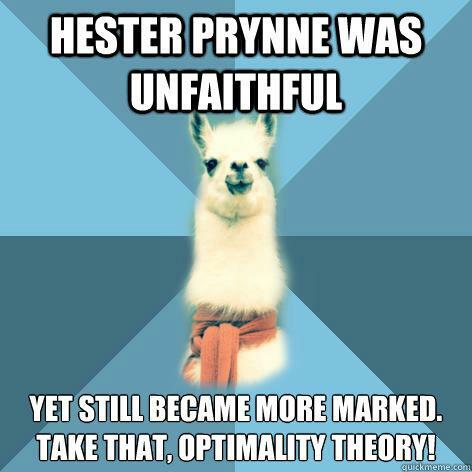 Hester Prynne was unfaithful Yet still became more marked. Take that, optimality theory! Yet still became more marked. Take that, optimality theory!